My film-making fiance Johnny Abegg loves the story of how Spelly and I came together to create Spell. He’s always said he wanted to capture the story and create a little clip to share. So he came into the studio one sunny Spring afternoon and sat us down and threw a camera in our faces. You can view our other videos on our updated website here. This is great, what a beautiful thing to capture and share with all of us who are fans. As I always say… “that which is going to happen will happen” and this was obviously meant to be! keep on inspiring ladies, xo. What a gorgeous story. Also LOVE LOVE LOVE that top! Is it for sale on your site? Oh wait, how could I forget I just bought the dress version? Ha! Fantastic video. I love what you do. 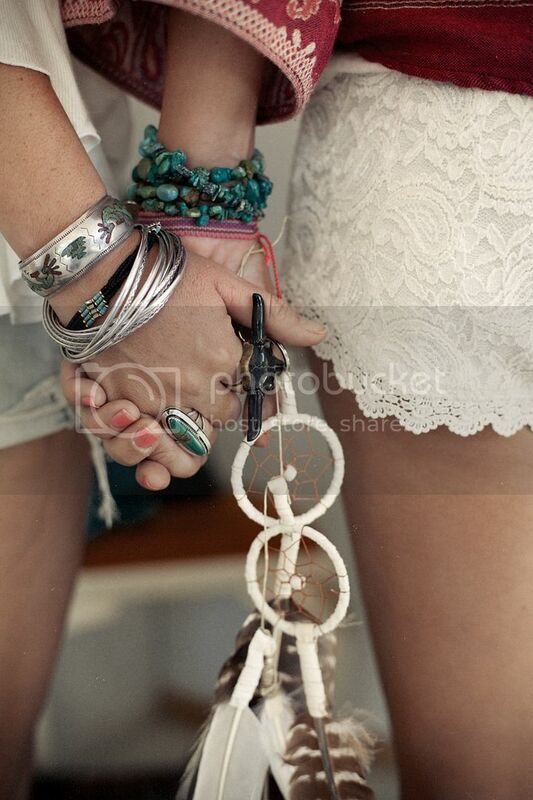 wanna win a dreamcatcher necklace? come and see my giveaway, you will love it! that is so great. wonderful video. very sweet video. i want one with my sister! you two are truly inspiring!!! one day my friends, we will come there to hang! That's a fantastic video! Love the inspiring story..
You girls are so beautiful ! And the filming is so jsut like you, hats off to your director ! Watching at these short films make me sooooooo wanna live in Bryon Bay..
Looks like kind of paradise on earth. Keep going on for your pleasure and our..
A question though.. : Which one is Spelly and whic one is Lizzie ?? What a beautifully captured story! So glad life turned out that way. this just made me cry a little and miss my sister. I too moved all the way alone from Bunbury WA to Sydney to follow my dreams. This is really inspiring and keeps me happy on those “one toilet roll at a time” feelings. Thank you for your inspirations.